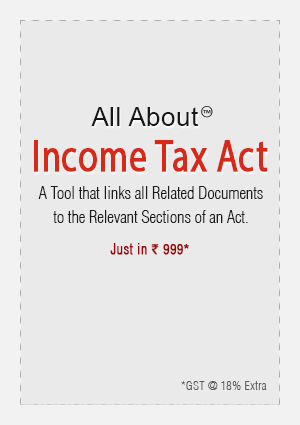 All About Income-tax Act’ is a tool to perform 360 degree research on any section of the Act. It combines and classifies all related documents of a section at one place. Choose any Section to view corresponding Rules, Forms, Judicial definitions, Circulars, Notifications, Landmark Rulings, Commentary, CBDT’s Explanatory Notes, etc.